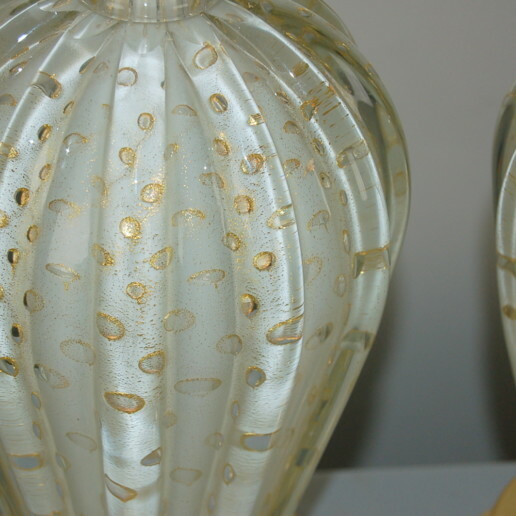 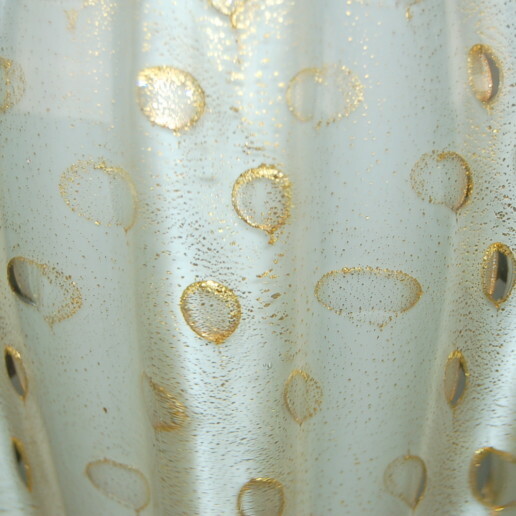 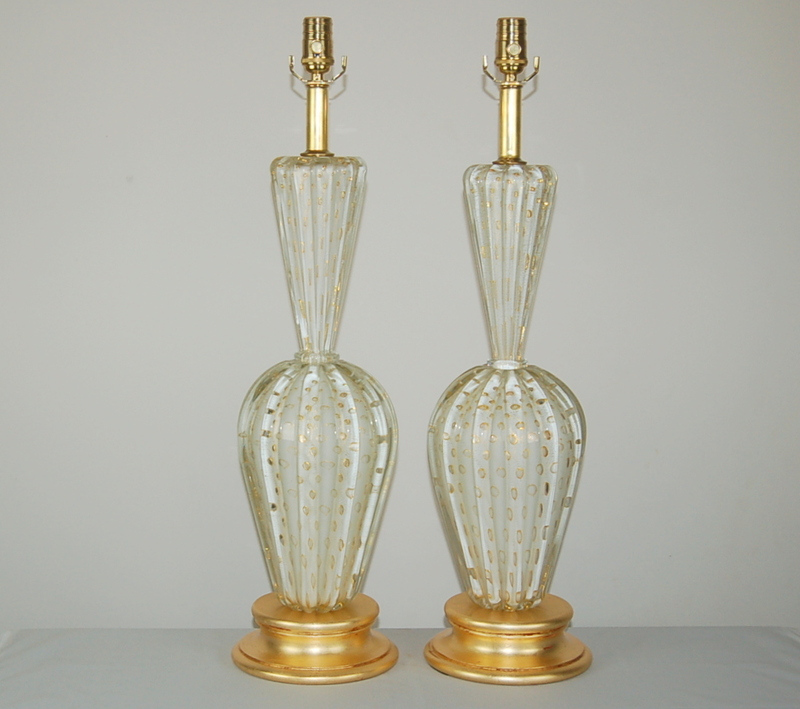 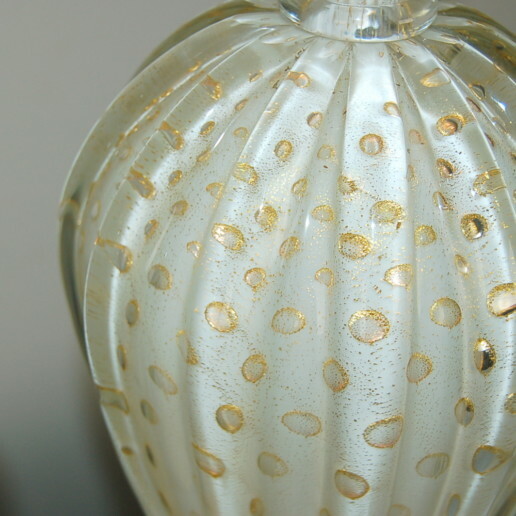 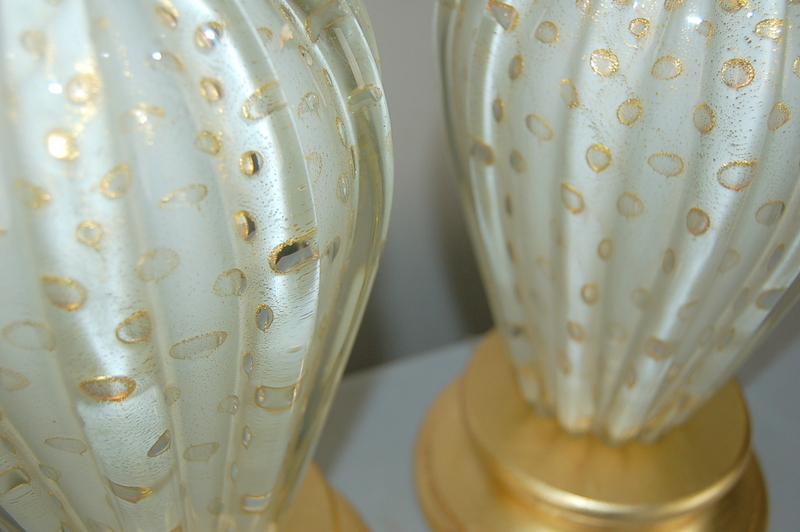 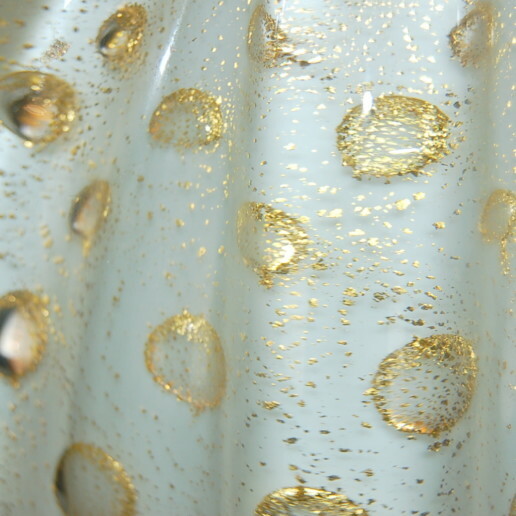 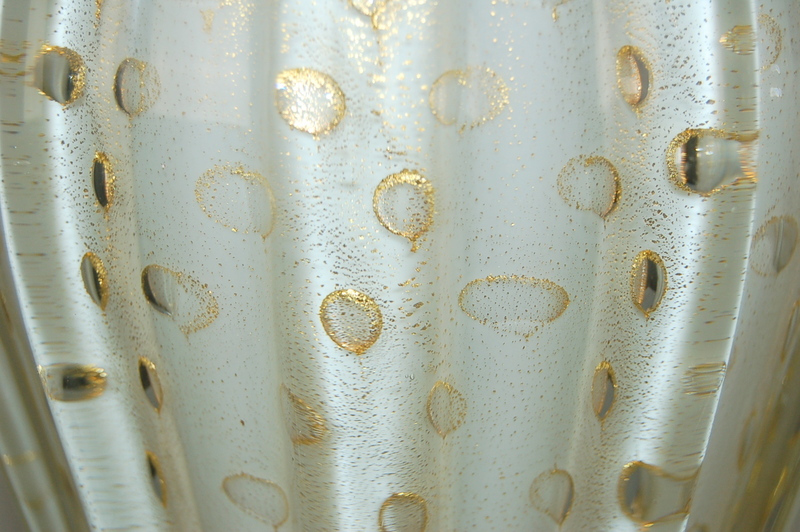 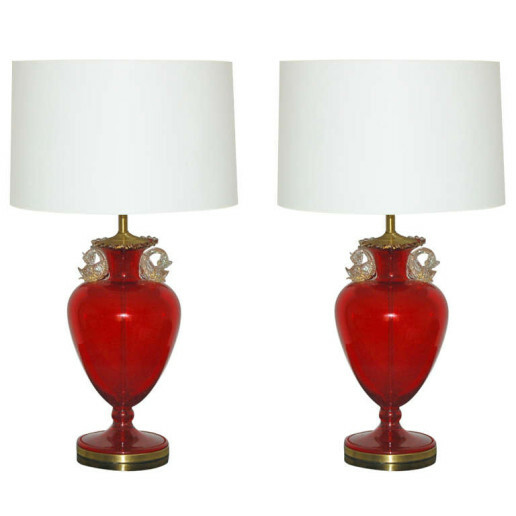 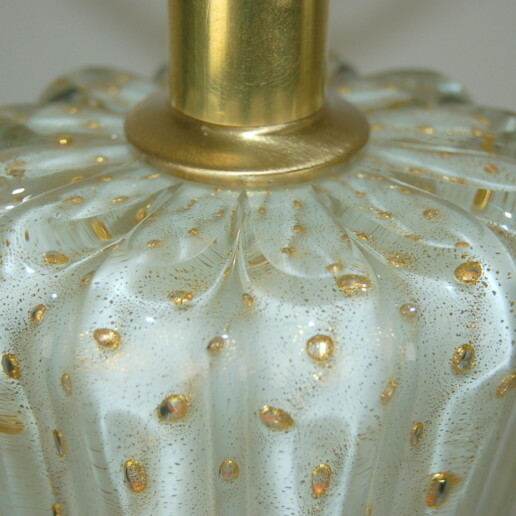 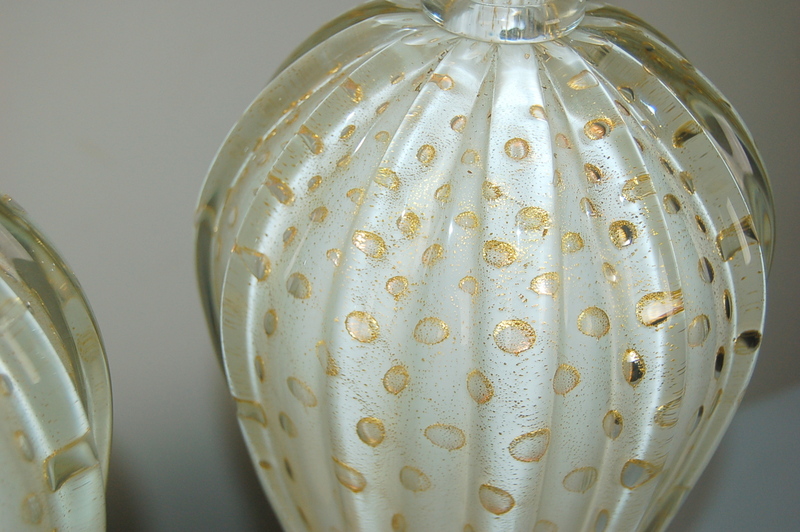 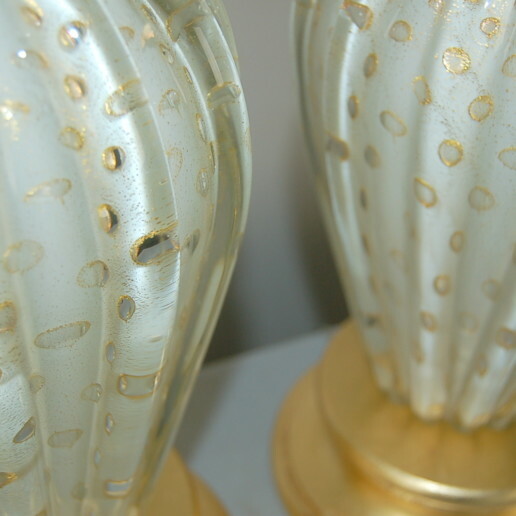 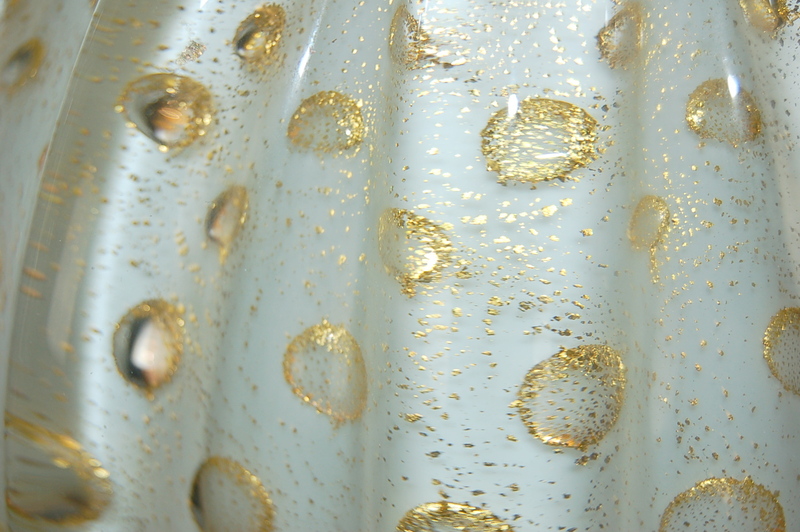 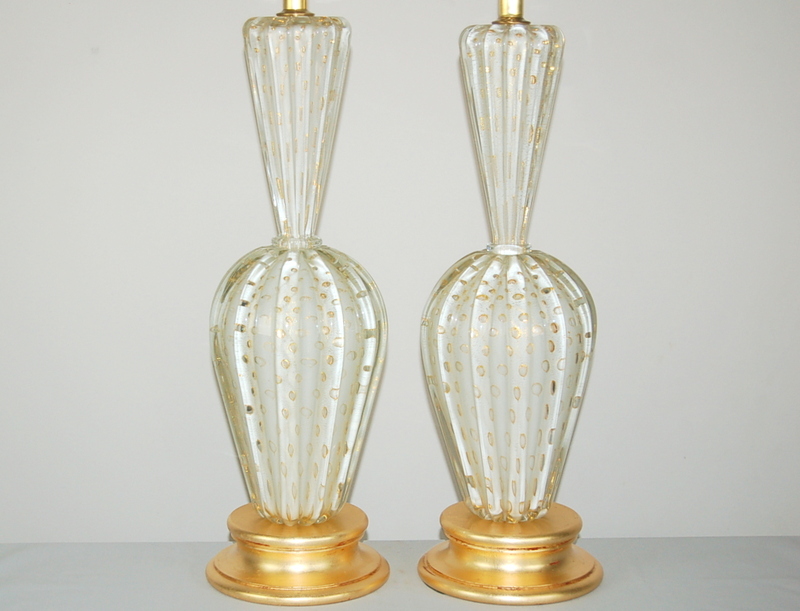 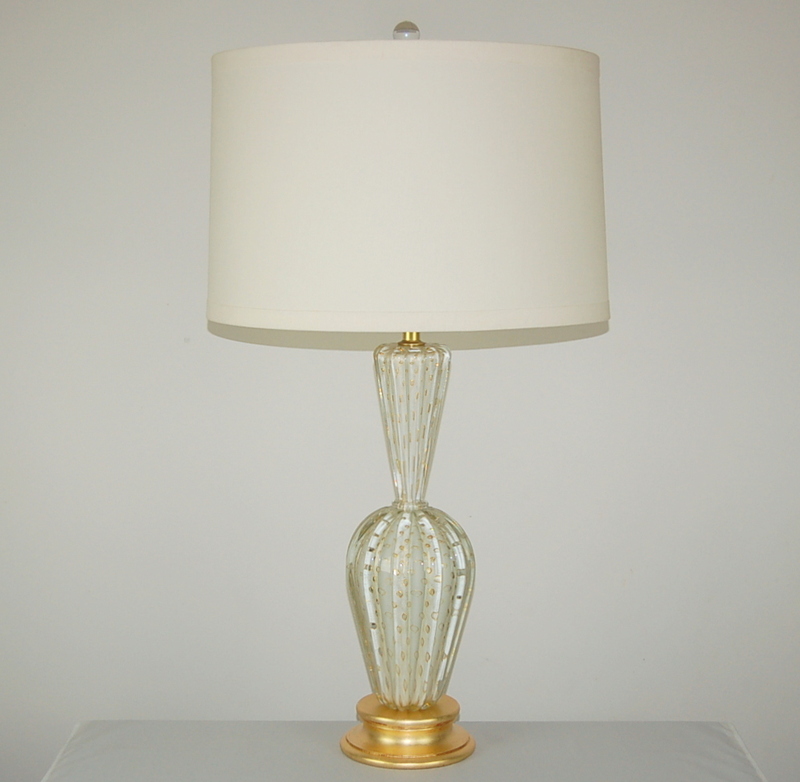 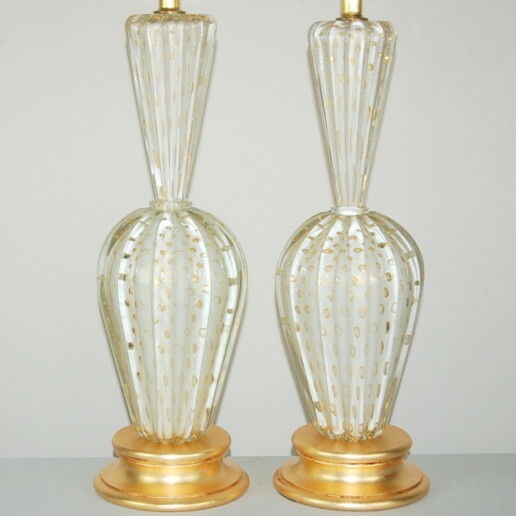 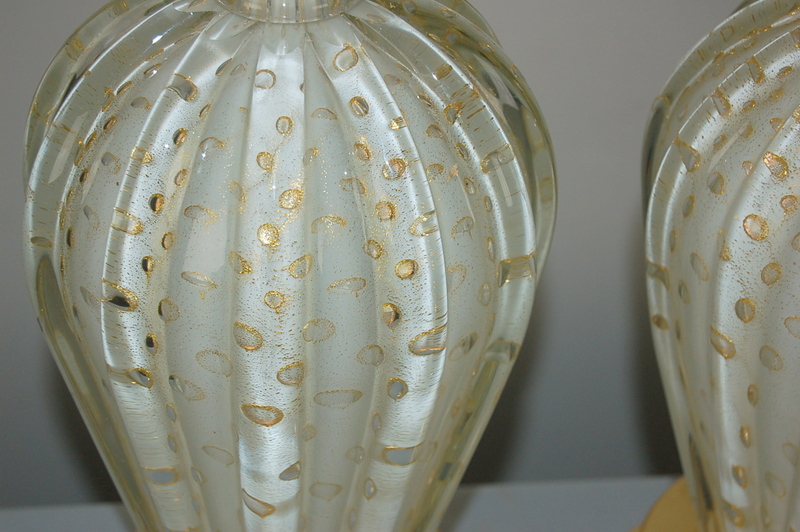 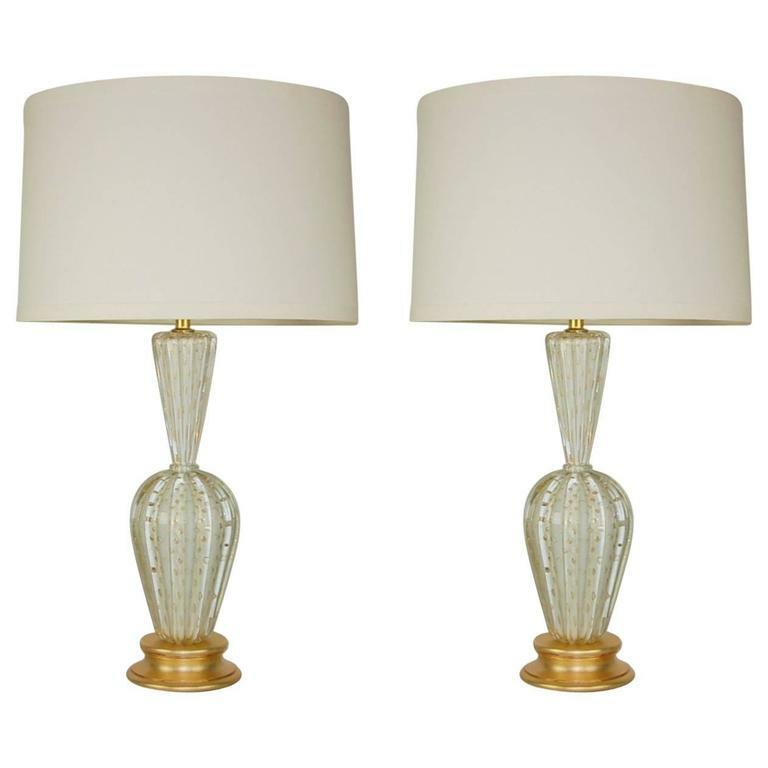 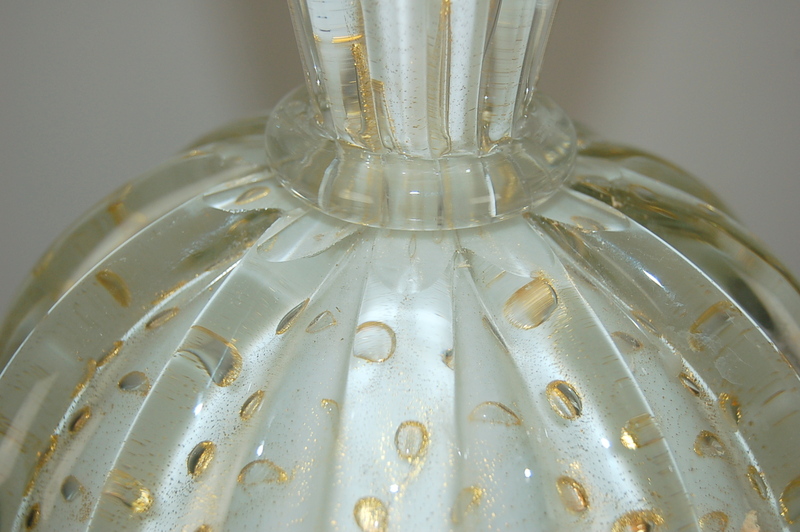 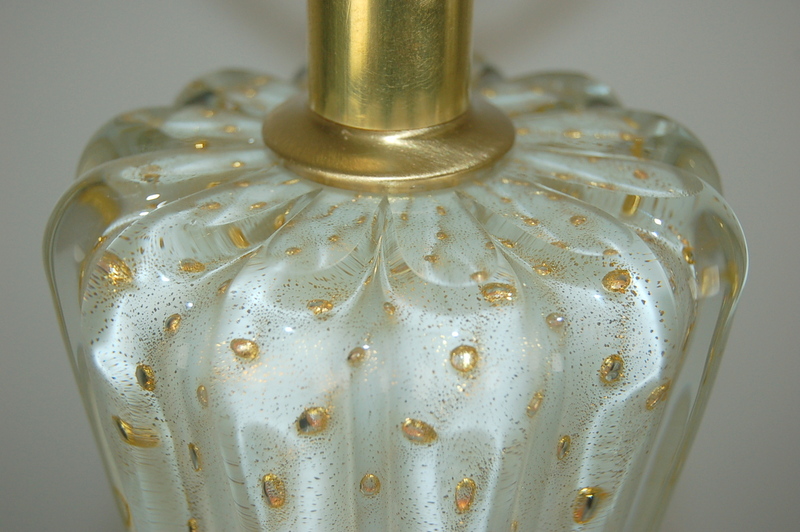 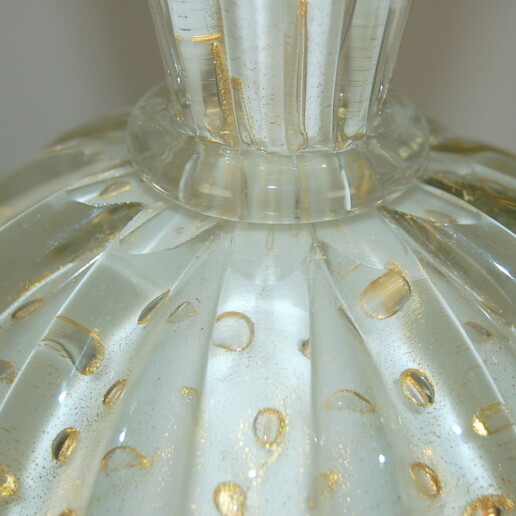 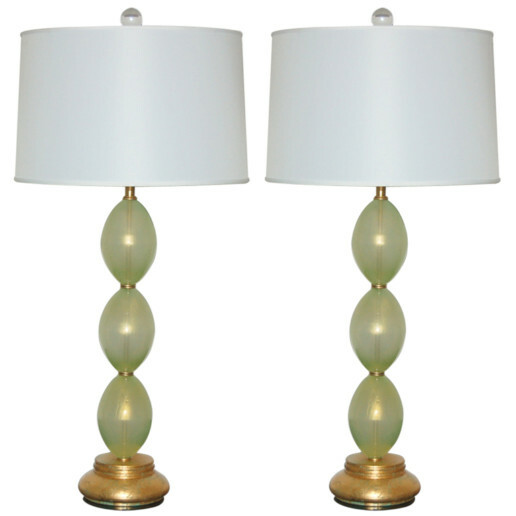 Imposing classic vintage Murano glass table lamps filled with controlled bubbles circled with GOLD. 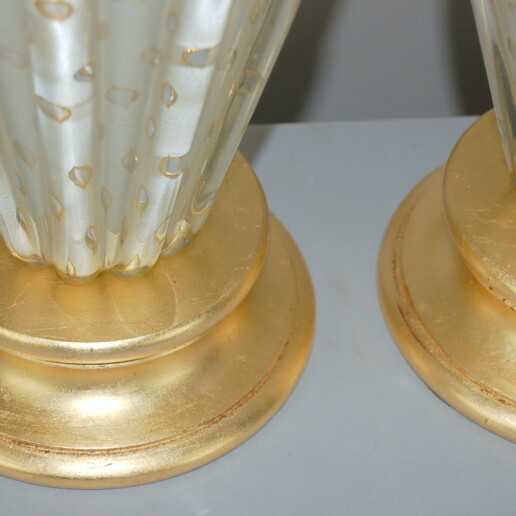 The SNOW WHITE glass is in perfect condition. 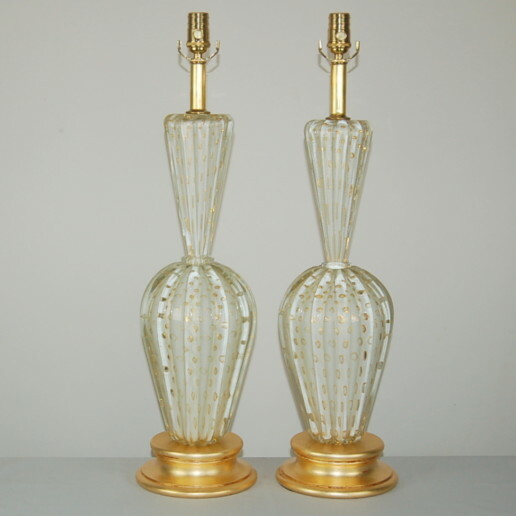 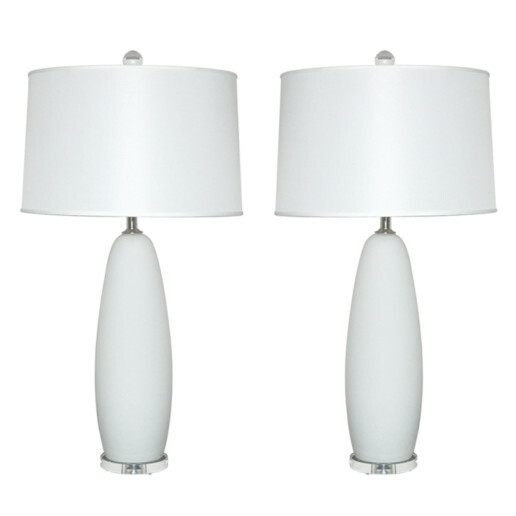 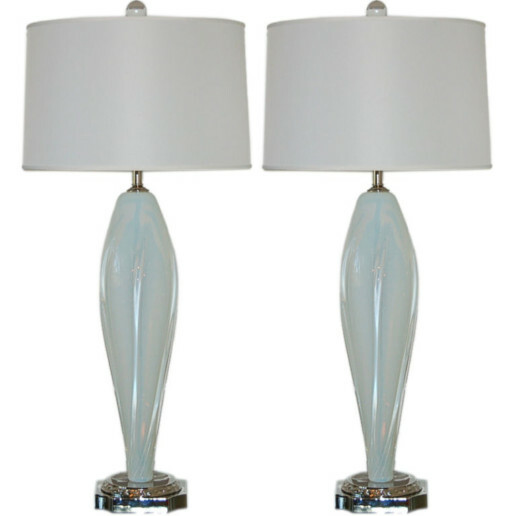 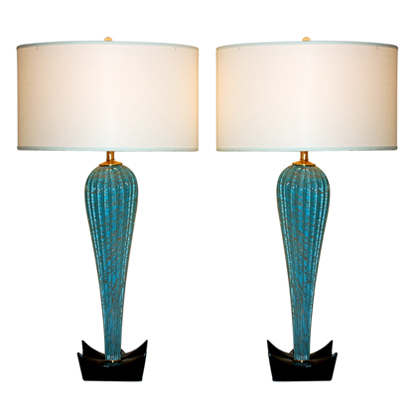 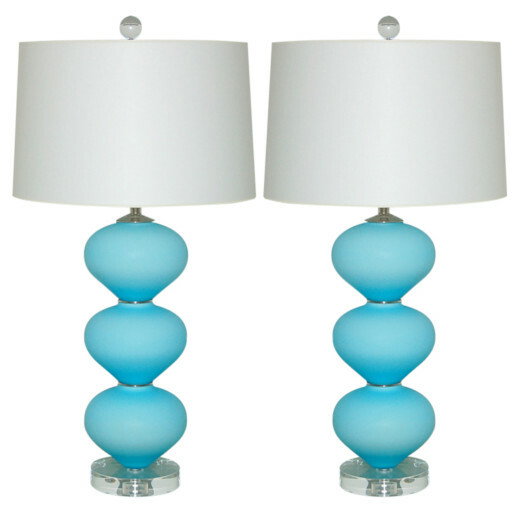 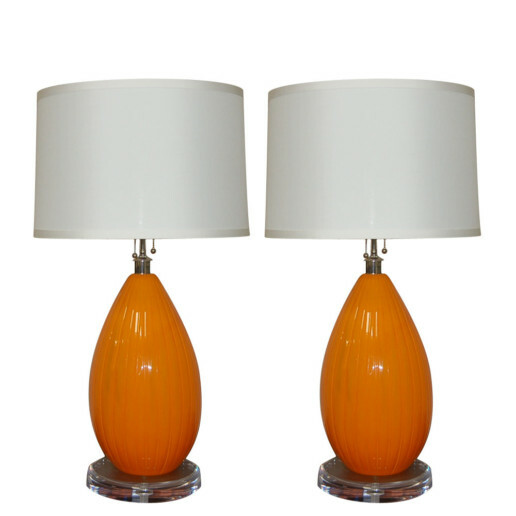 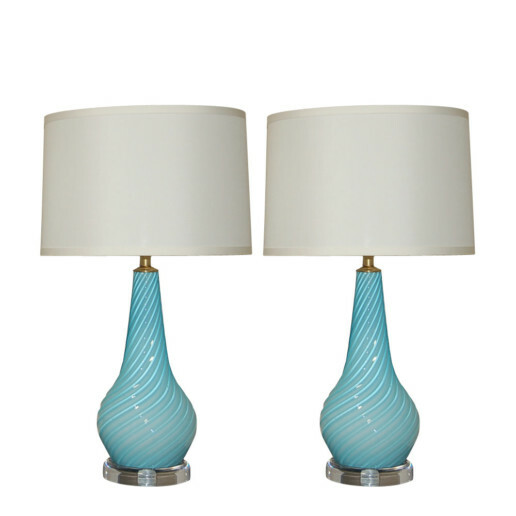 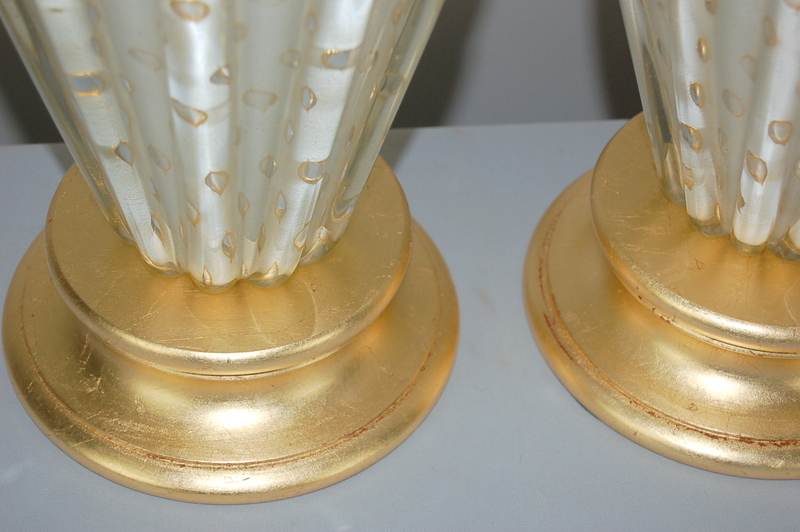 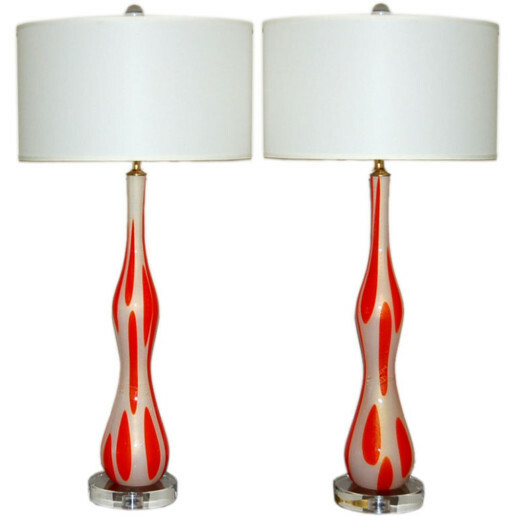 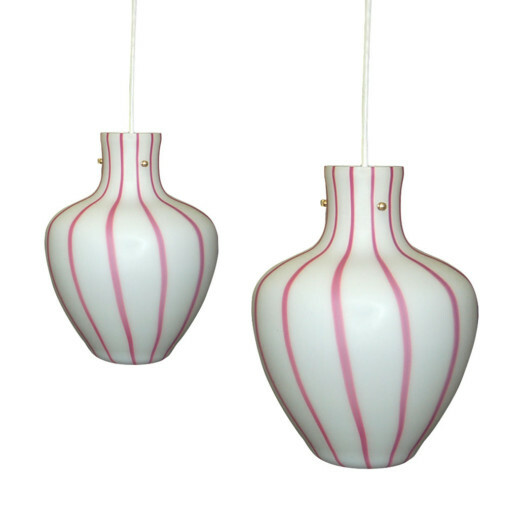 If you are wanting the best lamps the era had to offer, these are they. 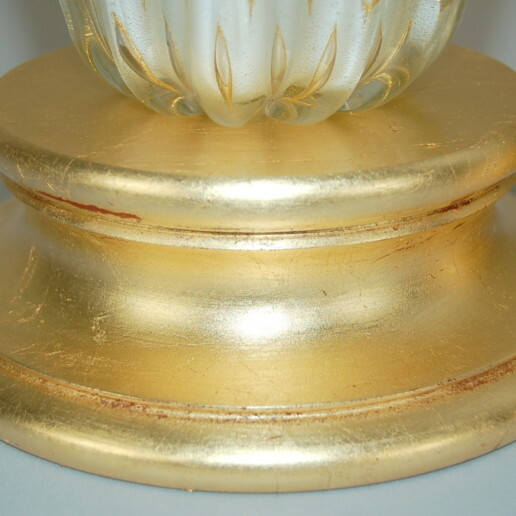 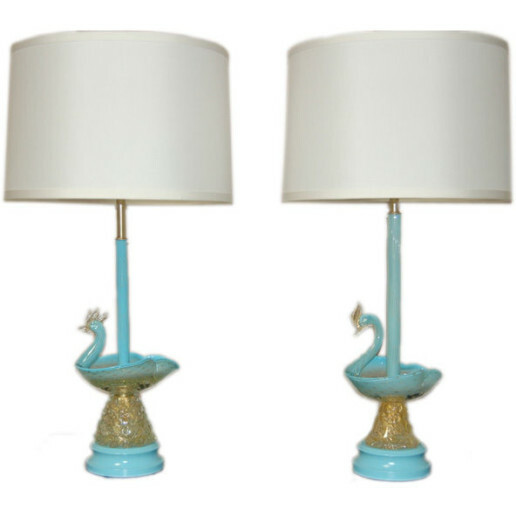 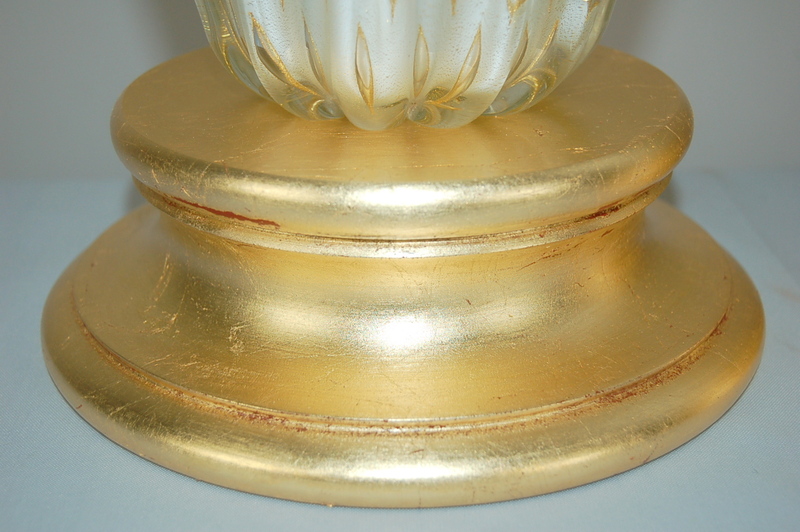 Mounted on gold leafed bases with solid brass hardware. 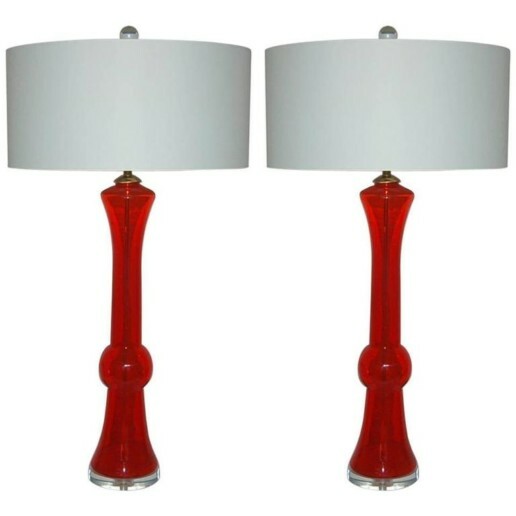 They stand 29.5 inches from tabletop to socket top. 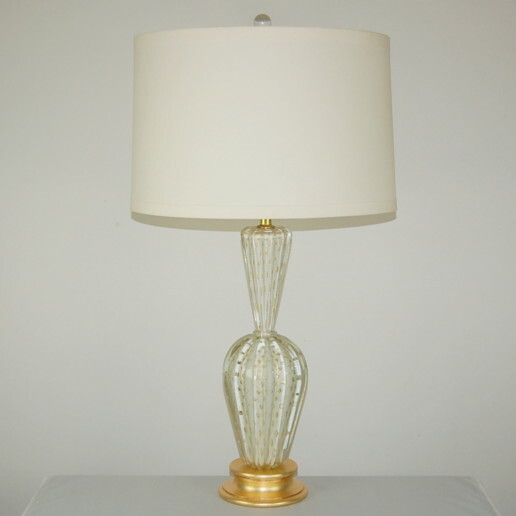 As shown, the top of shade is 38 inches high. Lampshades are for display only and not available for sale.